Montrose - I've seen two conflicting origins for the name "Monadh Rois" meaning 'moor cape' according to Wikipedia and Misako Udo; or "moine t'rois" - 'moss on the peninsula' according to Place Names of Scotland. Though the town's motto "Marie ditat, rosa decorat" reflects a folk tale that the name comes from Mount of Roses. The outlet to the sea is crossed by the only single-track part of the East Coast route to Aberdeen and the A92 linking the villages of Ferryden and Rossie Island to Montrose. Before the late 18th century the ferry was the only way to cross the South Esk here, and early wooden and suspension bridges didn't last long, a rebuilt suspension bridge then lasted until 1930 when a concrete bridge was built, this was replaced in 2006. In the late 17th century an attempt was made to build a two mile wall across the basin, called ﻿﻿Dronner's Dyke﻿﻿, to reclaim the area to the north for agricultural use. Shortly after its construction it was destroyed by high tides and storms in the autumn and winter of 1678-79 - this was put down to witchcraft, and a Maggie Cowie was found guilty of witchcraft and burnt. The remains of the Dyke are visible at low tide. Montrose was first linked to the railway by a branch from Dubton Junction (near Hillside) on the Caledonian Railway Main Line to Aberdeen in 1848. Rivals North British built their line through Montrose in 1881 and the two lines met at Kinnaber Junction, also near Hillside. North of Kinnaber, there was only the Caledonian line to Aberdeen - so there was competition to get to Kinnaber first (from London), and in 1895 the companies raced each other, and it briefly became a media event. The fastest time recorded to Aberdeen was 8:32 via the west coast route. Direct trains no longer run via the west coast, indeed much of the line in Scotland is long gone, but the fastest direct train now reaches Aberdeen in 7:04. After the record run which had only been possible by cutting out stops, shortening the train, and exceeding speed restrictions on curves, things settled down, and Kinnaber faded back into insignificance. An 1865 Montrose to Inverbervie railway also had a junction with the CR Montrose Branch just north of Montrose - the lines were closed in 1951 and 1934 respectively and parts of both are now cycle routes - mainly NCR1. Montrose no longer has a distillery, but it used to have two - Lochside and Hillside - both with interesting histories. Lochside produced both Malt and Grain at the same time; while Hillside also did so but at different times - and had several changes of name. 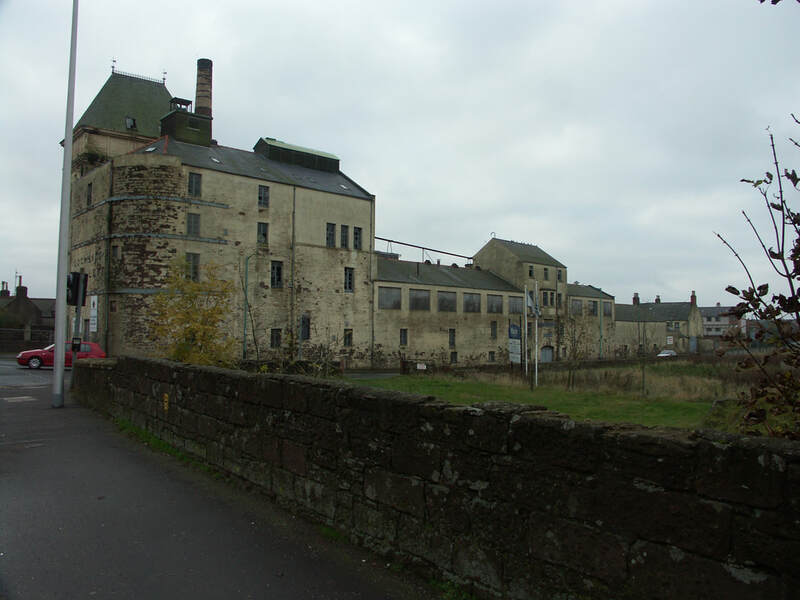 There is nothing left of Lochside, but the warehouses at Hilllside remain, and part of the site is used as a maltings. Montrose became a major settlement and port after the destruction of Old Montrose to the west of the Basin, which is believed to have been a port on the River South Esk for Brechin. It was destroyed by Viking raiders in 980. The new settlement on the one mile wide spit of land separating the basin from the open sea was given a royal charter in 1153. 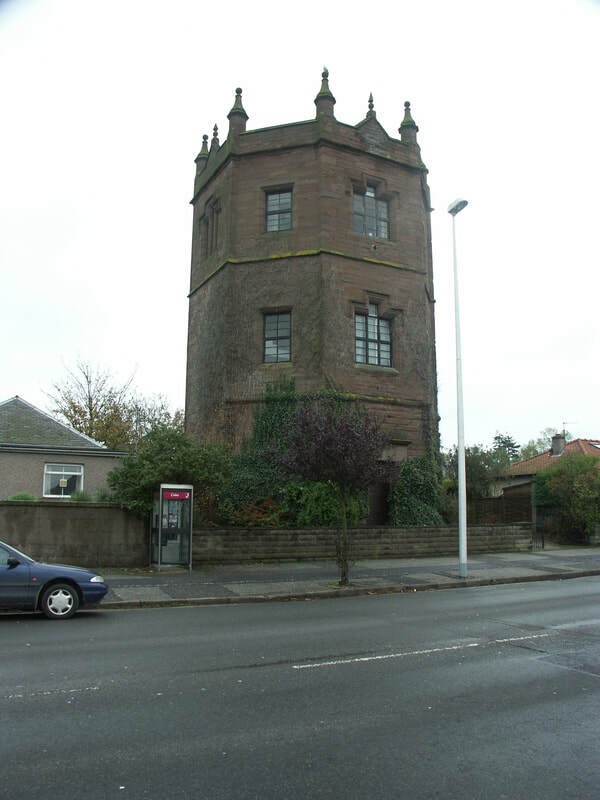 A royal castle was established in the late 12th century but this was destroyed by William Wallace in 1297 after John Balliol had surrendered Scotland to Edward I of England there the previous year. Nothing is now left above ground.